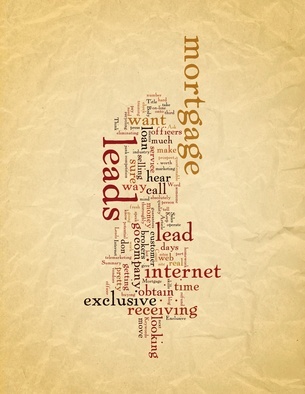 Blog » Need More Morgage Leads? The Foolproof Way To Increasing Your Lead-To-Rep Ratio. Remember this. There is both a minimum and a maximum volume per rep that is necessary for you to break even. Doesn’t matter the skill of your rep. If you’re not getting them enough of the right kinds of leads, or are giving them more than they can adequately handle, you’ve taken money out of your own pocket. What we’ve found is the key to maximizing profit is finding the peak performance between the minimum and maximum lead volumes. In other words, raking in more profits comes from finding the proverbial sweet-spot and then making it a point to control productivity inside the sweet-spot. Metrics You Need To Consider When Evaluating Rep Profitability. Here’s what you can do to make sure that leads aren’t wasted when they’re hitting your reps headsets. First remember that the amount of new leads worked into a reps call flow has a limit. At a point, the amount of new leads introduced will experience diminishing returns. Get reps in the proverbial sweet-spot as I mentioned before. Most of our research as well as research done by leads360 indicates that most companies aren’t giving their reps enough new leads. It’s estimated that reps in many industries could benefit from an increase of new leads by two times or more! Low new lead distribution is clearly a problem. But how do you know if that’s the case for your business? There’s a simple formula that will show you how to decide if you want to increase or decrease the number of leads your reps receive. Using the figure below, you can see that the optimal number of leads to send reps is around 15 new leads a day according to this model. Thus you can figure out the number of leads you should be sending your reps using the same formula. Likewise using the same formula, you can figure out if you have the right amount of employees on the floor by dividing the number of new leads being pushed to the floor by the average amount of new leads a rep can handle. At the end of the day, if your reps remain idle longer than is necessary you’re throwing money down the drain… and if you’re paying for bulk leads and then sending them down the pipeline with no one to convert them you’re wasting money as well. Based on our own research and the trend in the industry, you’re best off bringing in new leads to parcel out to reps as opposed to attempting to make do off of low numbers of new leads and cycling through them repeatedly. To find more new leads you can purchase them from someone like us, or you can follow strategies that we mention in our FREE e-book available if you click the hyperlink. The bottom line? If your reps have the time for new leads, send them their way. If you’re giving them too many, they won’t have a chance to follow up in a timely manner and close them. This could cause your company to lose out on converting those new leads as the sales process becomes fragmented and loses power. The fact of the matter is continuing to distribute new leads at a consistent pace throughout the week isn’t the wisest use of lead stream or your reps time and ability. Here’s a quick fun data points about lead assignment. Did you know that weekend leads close better than weekday leads? And did you know that your reps will spend more time on the phone with their prospects over the weekend than over the weekdays? And those same reps will talk with twice as many prospects over those two days than during the week? With those numbers firmly established, wouldn’t it make sense to save money by not dumping all your new leads on an empty call floor? Likewise, you can run a reduced stream of new leads over the weekend to your reps and still maintain healthy margins on profitability. Knowing they won’t be able to get to most of them over the course of the weekend, you’ll have fresh reserves of new leads to move to your reps during the week. Often times what happens is reps are saturated with calls early, new leads are dumped into queues, and then these new leads dry up over the day. By holding onto a few more new leads over the weekend and then dispersing them evenly over the week, your reps will be presented with more opportunity to convert during the week. Some Points To Drive Home. Productivity is often an erroneous data point when it comes to reps earning money. In fact, oftentimes, productivity can have an inverse relationship with conversions. Finally, if you want your mortgage company to experience increased profitability it’s recommended that the number of new leads you dish out only go to your reps when they are at their most effective, most alert and or available. Typically weekends and afternoons. There’s usually some math involved when attempting to delineate the right amount of new leads necessary to increase profitability. I’ve provided a graph with 3 of the most important formulas to keep in mind below. You can use these formulas to determine your ideal lead-to-rep ratio. Are you having trouble finding the right lead to rep ratio? If so, let us know what you’re struggling with in the comments below, we’ll be happy to help.